The Isles did have some good performances in this series and none more impressive than Mike Bossy. He was the best player in this series. He led New York in goals with 11 while the next highest mark was Bryan Trottier with five. John Tonelli let them in assists in the series with nine apples while Bossy was right behind him with eight. Bossy finished with 19 points in the seven games, by far the best mark in the series, and Tonelli was second with 12. Defenseman Gord Lane posted a team-high +4 plus/minus rating for the Isles while there was a three-way tie for second at +2 between Bossy, Tonelli and Trottier. Goaltending in this series was not all the great, despite the matchup. Billy Smith posted a 3-3-1 record for the Isles to go with a 3.43 goals against average and a .905 save percentage. The Capitals had a much more balanced offensive attack than the Islanders and that mighty be the reason they were able to make the 3-0 series comeback. Mike Gartner, surprise, was Washington’s leading goal-scorer in the series with five goals. There was a four-way tie for second behind Gartner at three goals, including Alan Haworth, Dave Christian and defenseman Scott Stevens. Stevens, by the way, was ejected for the second time in this tournament when he was given the boot for head-butting in the second period of Game 6. Haworth was also tied with Bob Carpenter for the team-lead in assists with five apiece. There was a three-way tie for second with four assists between Gartner, Timo Blomqvist and defenseman Larry Murphy. Gartner stood alone with nine points atop Washington’s overall scoring leaderboard while Haworth was second with eight. There was a five-way tie for the team lead in plus/minus at +3, including Haworth, Murphy and Stevens. Goaltender Al Jensen certainly wasn’t the reason for the series win. Despite his 4-2-1 record, he posted a 3.57 goals against average and a .887 save save percentage. 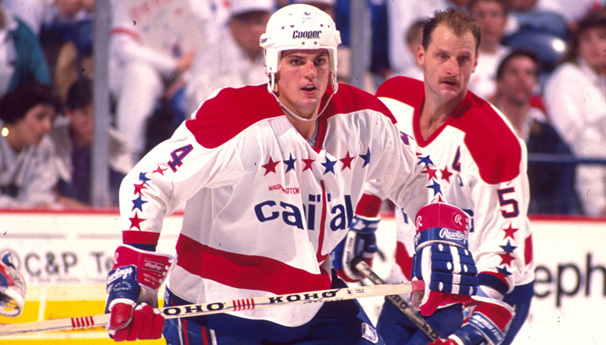 The ’83-’84 Capitals continue already Washington’s best UNP as they make their first appearance in the Third Round. Last year’s representative was swept out of the First Round. The ’81-’82 Islanders are one and down in their first ever trip to the UNP as they cannot match last year’s representative, who were eliminated in the Third Round by the hated Rangers. The ’83-’84 Caps will now face the 24th-seeded ’99-’00 Florida Panthers in the Third Round, who upset the 9th-seeded ’19-’20 Ottawa Senators in the Second Round! Up next in the Second Round are the 6th-seeded ’84-’85 Edmonton Oilers and the 27th-seeded ’82-’83 Minnesota North Stars! This entry was posted in 2nd Round, Ultimate NHL Playoff and tagged Al Jensen, Alan Haworth, Bengt-Ake Gustafsson, Billy Smith, Bob Carpenter, Bryan Trottier, Dave Christian, Gaetan Duchesne, Gord Lane, John Tonelli, Larry Murphy, Mike Bossy, Mike Gartner, New York Islanders, Scott Stevens, Second Round, Timo Blomqvist, Ultimate NHL Playoff, Washington Capitals. Bookmark the permalink.